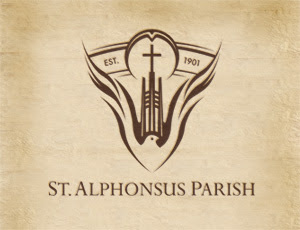 Design Hovie Studios, Inc., has designed the new brand identity for St. Alphonsus Parish. Established in 1901, St. Alphonsus in a Roman Catholic Parish located in Seattle's Ballard district. Highly symbolic, the new logo includes various elements key to the faith as well as including the parish's key piece of architecture, the majestic bell tower visible from many points around the neighborhood. The entire project was a 1 month process designed and illustrated by Creative Director Hovie Hawk and designer Maxwell Churchill.